The multi-vehicle collision occurred shortly after 6:30 in the morning when the driver of a Honda, traveling in the left lane near Greenback Lane, lost control of the vehicle, veered to the right and struck another car. The collision caused the Honda to overturn, ending up in the center divide. The first collision resulted in three other vehicles crashing, and several lanes were blocked as a result. The CHP reported that the lanes were clear around 7:30 in the morning. However, traffic heading westbound on I-80 was backed up for a number of miles. Fatigue: An overly tired driver can fall asleep at the wheel or start daydreaming. This can cause the driver to lose control of the vehicle. Distracted driving: Inattention to the task at hand can cause a driver to miss signals that their vehicle should be slowing down or is drifting into another lane, which can cause overcorrection and loss of control. Speeding: Speeding is a major cause of accidents. Having to take an evasive maneuver or needing to slow or stop while speeding makes it more likely the driver will lose control. Running off the road happens for a variety of reasons, however, speeding is a common cause. Drunk driving: Drunk drivers can pass out behind the wheel of a car. In addition, their reflexes and judgment are impaired. This can cause the driver to lose control. Hydroplaning happens when a vehicle loses traction on a wet road surface. Keeping the vehicle going straight and avoiding slamming on the brakes or accelerating can help avoid losing control. Brake failure can be due to lack of maintenance or defective parts. If brakes are non-functioning, steering gently to the side and using the guardrail to slow down can reduce the speed of your vehicle. Steering failure often gives a driver little notice before failing completely because it becomes more difficult. Stop the vehicle as soon as possible in a safe location. Sudden acceleration is another problem that might be due to a manufacturing defect. When this happens, take your foot off the accelerator and push the pedal left. If that doesn’t work, shift into neutral and brake. Sudden stops can cause a loss of vehicle control. Centering the steering wheel before easing up on the brakes can help keep the vehicle going in a straight line. Blowouts and tire separation are common causes of a vehicle losing control. They can be caused by poor maintenance, wear or tire defects. If this happens, do not apply the brakes, and let the vehicle slow naturally to at least 30 mph before pulling over gently. I’m Ed Smith, a Citrus Heights car accident lawyer. 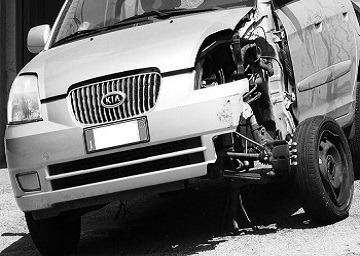 When a vehicle loses control, it can cause a serious accident that injures others. If you or someone in your family was hurt in an accident, I would be honored to offer you free and friendly advice. Please contact me at (916) 921-6400 in the Citrus Heights area or at (800) 404-5400 on my toll-free line. Over my many years serving Northern Californians as an injury lawyer, I’ve represented numerous people in Citrus Heights, helping them obtain fair compensation in a variety of car crashes, bicycle accidents and wrongful deaths. As a long-time member of Million Dollar Advocates, I belong to a group of trial lawyers who have won verdicts or negotiated settlements for a client in excess of one million dollars. You can find out more about my law practice through reading client reviews and how other cases were resolved at the following links.